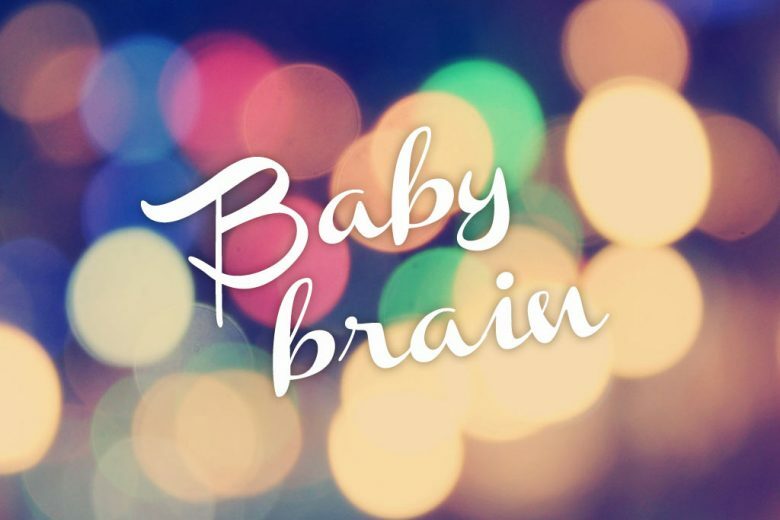 We’ve all heard the term ‘baby brain’ and, if you’re on this site, the chances are you’ve probably experienced it for yourself! But just what does it feel like? And how does it affect your life? Laura Sands is a senior product manager for a large FMCG brand, and a mum of two. In her second blog for us (you can read the first one in which she contemplates her return to work after maternity leave here), she shares her experiences with baby brain. I used to consider myself a fairly together person. I may have sent the odd birthday card a day late, but generally I paid bills on time, remembered people’s names and got through life in a fairly organised fashion. Somehow, this biological process mangled my brain and brought this hitherto unappreciated golden era of togetherness to an abrupt end. Then baby number two came along, and with this the remaining part of my functioning mind flew out of the window. Clearly, I am at least in part compos mentis. The children get fed, go to bed on time and (normally) have clean clothes to wear. I also am able to write this blog post for instance. But, the smallest and surely simplest things seem to defy me nowadays. Here are a few examples. I must hold the record for the number of unpaid visits to car parks. Not intentionally, but I just simply forget to pay and display. Somehow, walking 30 metres across a car park and putting 80p in the machine is beyond my ability to remember. I generally don’t realise until quite a way into my shopping trip/chore/lunch date, and then have to bolt down the high street to the car park and quickly pay. I have had only one parking ticket so far – which frankly is nothing short of miraculous – though I have had a few close shaves with approaching traffic wardens. A similar, yet to date more costly problem is that of leaving shops without taking the goods I have paid for. It could almost be considered a reverse shoplifting problem. I’ve done it in the supermarket, Boots and my local greengrocers. The last time it happened the greengrocer kindly yelled out “Yer forgot yer nanas!” at which I shuffled back in an embarrassed fashion and collected my fruit. If it’s a good day, then I realise before I get home. I do a U-turn and collect my abandoned purchases. On a bad day though, I am clueless that I’ve even done it, and often don’t even realise for several days. “I’m sure I bought loo roll, why do we have none left?” I’ll eventually ask myself, before sending hubby out on a mercy dash for a pack of overpriced Andrex from the local garage. Oh, how we used to laugh at my mother. With four children and a pet dog, the potential for amusing mix-ups was endless. That poor dog was always getting its hopes up as my mum shouted out a variety of names before getting to the name of choice (strangely always the last one on the list). “Kirsty, Lizzie, Rosie [the dog] …YOU!” she’d shout and we’d all chuckle at the amusingness of it all. But now I do it. When other children visit, the potential for confusion increases even more. At a loss of getting the correct name or sometimes even gender, I find myself using generic terms of endearment far more than I would like, saying things like, “Come along sausage/poppet/you little monkey.” And to think I used to get mad at old men that called me ‘darling’ or ‘pet’! Now I can understand why. There are other things of course. The classic of going into a room or cupboard and entirely forgetting the initial purpose. It took me three trips to the same cupboard at the weekend before I remembered to get the flour I needed for the apple crumble. And how about conversations? The number of complete brain blocks, when I can’t remember words or people’s names (how embarrassing!) are frequent. Who knows how I will cope when I’m back in the workforce? It helps to know I’m not the only one. “I used to be able to hold normal conversations,” a friend confessed. “Now I forget to ask how people are, don’t finish sentences and forget entire words.” It seems that motherhood does more to us than stretchmarks and a spongy tummy. So how to cope with this? I can’t accept that this will be the state of my mind forever. Could it get worse? I hope not. It would cost me a fortune in parking tickets and forgotten loo roll for one. Write things down – from now on I’m going to write things I need to remember down on post it notes, backs of envelopes, perhaps I’ll even invest in a notepad. I’ll keep lists by my bed, in the kitchen and by the telly. Perhaps if I write down the things I need to do, instead of trying to keep them all in my head, then I’ll clear enough space to allow my brain to remember the small stuff. Do less – I probably need to stop trying to do as much. That’s easier said than done, but I am sure that if I were to cut down on some of the less important things on my personal to-do list (do I really need to dust the kitchen blind for instance?) then I would have more space in my head for the nuts and bolts of everyday life. Me time – I’m going to start taking some time just for me. Exhaustion would be far too strong a term for what all this is probably a symptom of. But, to have a little me time (to use a hackneyed phrase) would surely help relax my mind and tune out for a small amount of time. The theory being that this then gives me a little more clarity. So some exercise would probably be in order – perhaps if I’m feeling flush then a manicure or facial. Or even just a Saturday afternoon bath with a good book while daddy takes the boys to the swings. Let’s see how it goes! If you have any other suggestions I’ll gladly take them.